Women's Coworking + Wellness Day! 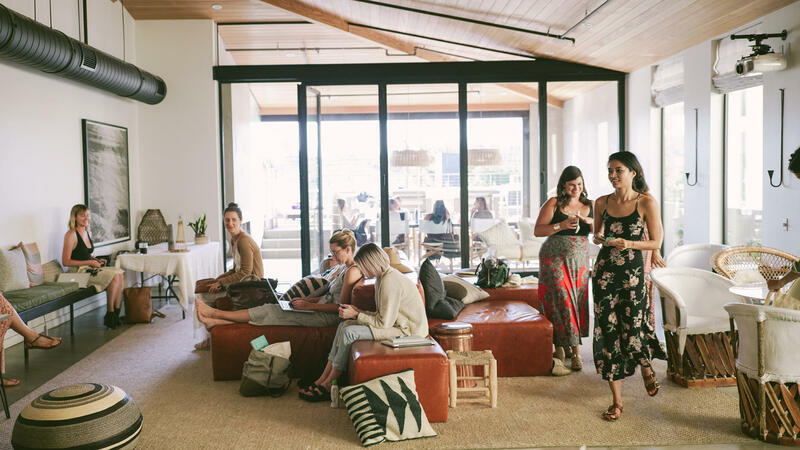 Our intention is to create a community where women can come together and make genuine connections in a thriving workspace. We understand the importance of balancing work with self care and we seek to integrate wellness in every aspect of the experience! This elevated coworking day will include a group mindful practice and sharing circle from 2-3:30pm led by Charmaine Hamp. Please arrive by 1:45pm as we will close the doors until 3:30pm for this women's group circle. Healthy food and snacks will be provided! We partnered with our favorite conscious brands to gift our attendees a curated self care package to take home! Get to Know Your Customers + Clarify Your Value Proposition! It is the value your product or service has to offer to your customers. This is the most important aspect of your business! This workshop will incorporate hands-on practical applications of methods and tools to help business owners and entrepreneurs gain clarity, increase their reach and grow their business. We’ll get clear on your customer segments and value propositions, two key building blocks of your business model. Learn how to create a feedback loop so you know your value propositions are on point and you're speaking the language of your audience - and pull it all together with a messaging exercise to make sure you’re articulating the essence of your business in a way that's clear and captivating. We’ll take time to put everything into practice and get feedback as you work alongside like-minded entrepreneurs. Rachael is a Social Impact Strategist, helping small business owners and entrepreneurs build businesses that make the world better. She loves living in LA with her husband and three furry kids, hearing people’s stories and using far too many emojis. She also loves working with entrepreneurs to ideate, create and help develop the groundwork for successful businesses. sharing circle from 2-3:15pm, organic nourishment and a self care package! Ticket sales are final and nonrefundable but you can gift to a friend in your place. Please note, ticket sales are final and nonrefundable but you can gift to a friend in your place. By attending this event, you may be photographed, audio or video recorded. Purchasing this ticket gives consent to the release to be used for promotional purposes, advertising, inclusion on websites, or any other purpose by Workspace Oasis. Please note, ticket sales are final and nonrefundable but you can gift to a friend in your place.